This Sunshine Check & Loans is in on Orangethorpe Ave next to Calico Cake Shop. OCTA bus line #30 stops at Orangethorpe-Western, right down the street from this location. Check OCTA’s website for more details. Within walking distance of this location are the likes of Han Yang, Wake Honey Pig, Cho Man Won, and Zoomak. Why Choose LoanMart for Auto Title Loans in Buena Park? Are you looking for a way to borrow money, but are concerned about credit? With poor credit, it can feel like you’re out of options. LoanMart may be able to help. You may be able to qualify for up to $30,0001 in financial relief in as little as one business day3 with an auto title loan in Buena Park. Auto title loans use the free-and-clear title to a qualifying vehicle to secure funding. Their customers face no driving restrictions while making regular payments, because the vehicle’s title, not the vehicle itself, is used as collateral. Plus applying is completely free! 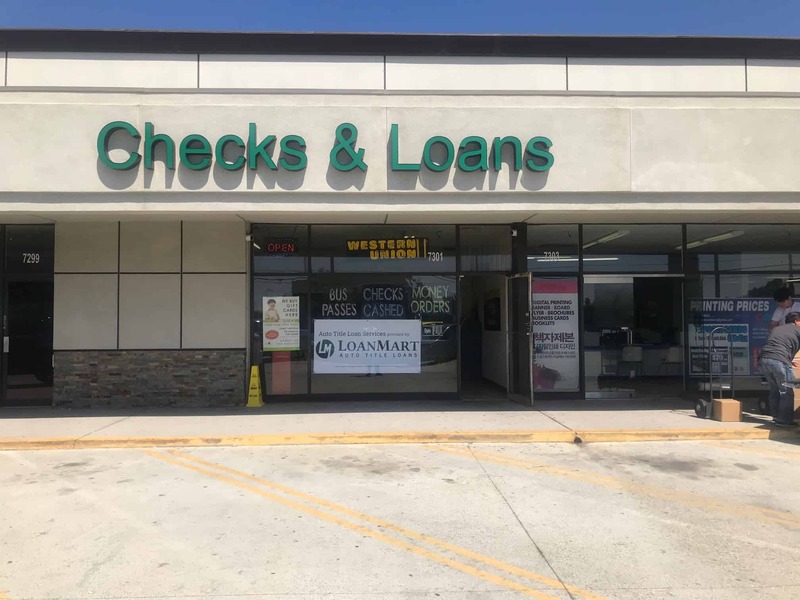 Customers who apply for LoanMart auto title loans in Buena Park are under no obligation to proceed with the auto title loan when they learn if they qualify. LoanMart looks at a variety of factors to qualify customers, including vehicle equity value and ability to make regular monthly payments. Their goal is to get as many customers as possible qualified. Fill out the information request form on this page and a LoanMart Agent will be in contact ASAP. Click Chat Now for a live chat with a staff member. LoanMart is looking forward to working with you. Once approved, your title loan agent will talk to you about the retrieval process, via LoanMart and Sunshine Check & Loans!